I feel lucky to have got this pic of a 10 pt losing his velvet(s-600) and am really happy with the picture quality of the FS-15 with a viv 3700 wireless set-up on the second pic. That first pic is really cool. I really like the colors you are getting from the second setup. I think the 1st. pic really says a lot, great capture. I agree about that flash combo, it sure does render a natural looking picture. The second photo is a winner -- beautiful. Thanks....does something look wrong with the rear leg on the first picture or is it just the angle of the pic? The leg looks odd, but since it's only one photo it would be really hard to say there's a problem. If you don't mind me chiming in on that question, then here's my 2 bits worth. 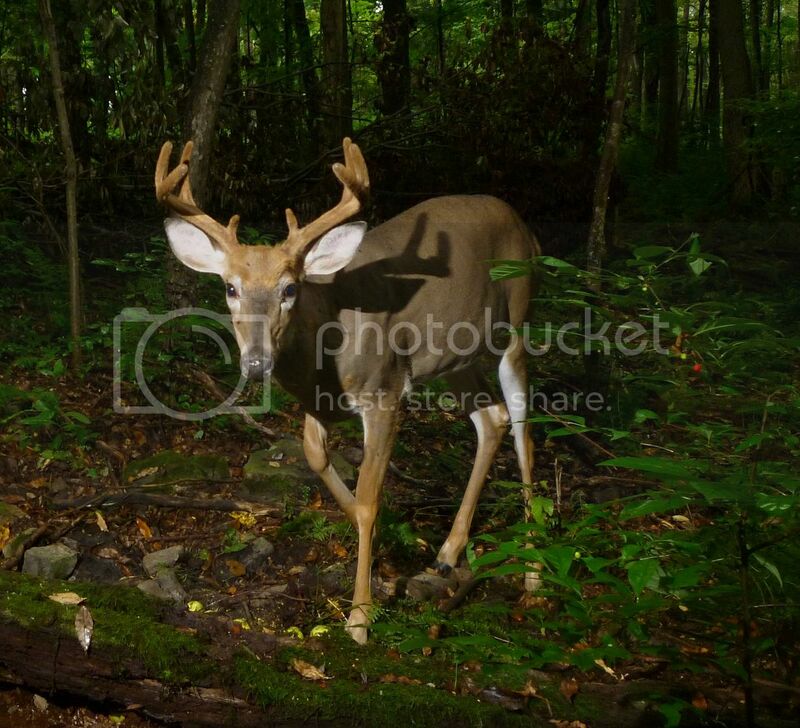 I see a well fed healthy Buck and believe it's the angle of that leg which looks odd. I see good muscle tone, thick waisted with zero ribs showing....he's having no apparent difficulty in finding food. The hair looks perfectly smooth on his legs which means he isn't excessively licking a sore spot. I see no swelling or scabs on his front knee caps which would be evident from falling hard after impact from an auto. No swelling on the rear knee joints or between the joints and hip. His back is perfectly in line with no arching near his hips. He is also standing firmly on all fours which is a very good sign. You see, I'm presently caring for two Deer with broken rear legs. So this question is hitting pretty close to home with me. 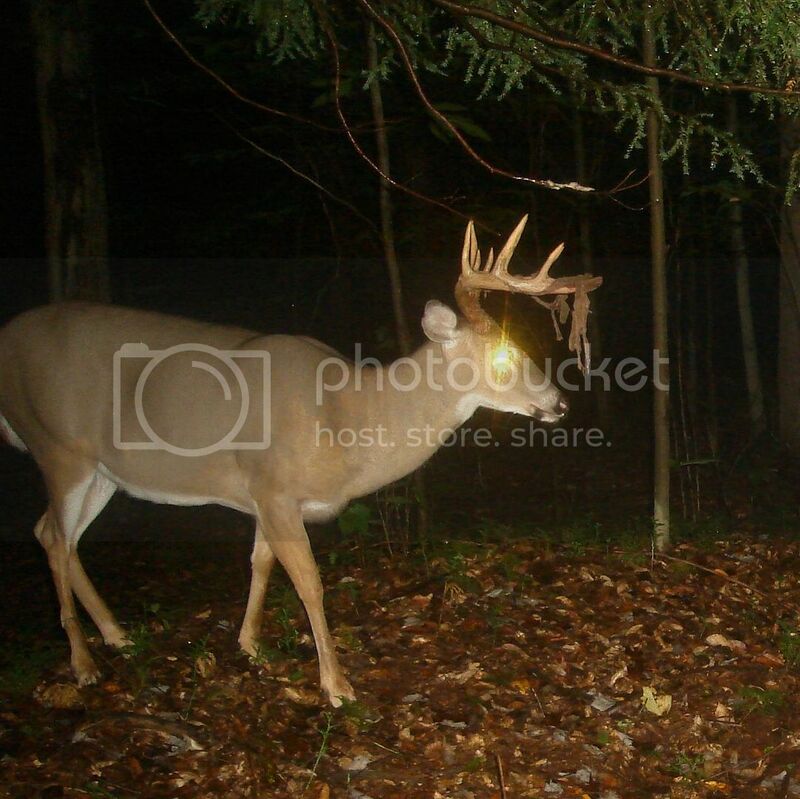 That big buck is a dandy, the second picture is a winner for sure I gotta do some more research on a remote slave. Woody, now that you mention it the big buck does have an odd stance. If he was rutting I would say he is spraying his back legs.